The fall I want to live it in New England. 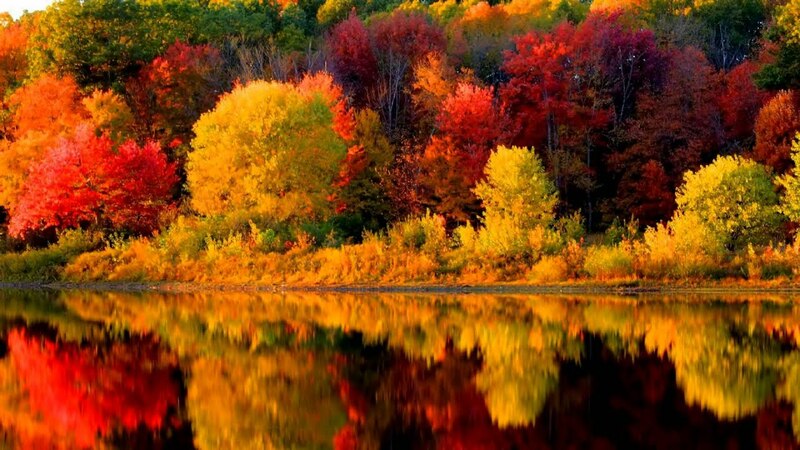 There is no picture in nature more beautiful then a New England forest in fall colors, from red to green, reflecting in a calm water of some lake. And not just the leaves: all the harvest festivals, fairs, pumpkins everywhere, on every porch, houses decorated for halloween, apple picking, apple cider… That is when the food here tastes best, when the air smells best, when life feels best. Winter in the Caribbean. I am not a big fan of snow, I lived for thirty years without having to shovel snow not once and I can live the rest of my life without even seeing snow. I was born on the shoreline and I can not imagine my life far from the sea and there is no sea nicer then the coral reefs of the caribbean (as far as I know, I have never been to Australia or Thailand). Eating fresh seafood, snorkeling in a clear water, waking up in the morning by diving in the sea and going to sleep by the fire on the sand beach. Living life without putting on shoes – or even a shirt, watching the sunset and the seagulls, covering yourself in the warmth, the song and the smells of the tropical sun and people of the eternal summer in the Caribbean. Spring in south France, in the Provence. Or northern Spain. Anywhere between Tuscany to Barcelona, actually. I lived near Barcelona for 4 months once and returned there later many times, for work or for vacations. And loved it every time. You can enjoy the full beauty of this most popular tourist destinations on earth, minus all the insane crowds of summer. Spring in Provence. Summer in my Croatia. On the coast. I am aware of how all this might be affecting my choice, but I still think this to be the best place to spend the summer, the joyous time of the year. You see, there is no huge difference between the regions I described before, Tuscany, Provence and Catalonia – and Istria, Croatia on the other side. One big difference is that there are no big cities here, it is way less crowded and less… touristy. But it is still EU, with all its amenities and culture and vibrant foodie scene, all things that Caribbean can not offer. Other big difference are the people. People in istria love tourists. We loved them ever since the Roman times, when the wealthiest Roman aristocrats decided to build theirs vacation houses here. We loved everybody who came after them, Venetians, the French, Austrians, Germans…. In some other country they would call them invaders, but not us, to us they were always tourists. We were a poor country and the money they brought with them was always welcomed. People in France are not that crazy about tourists, especially in late summer when other (also not too friendly) domestic tourists show up. I don’t know if she ever wrote this in her article or if she ever used it at all. If she did not, I claim it as mine. I checked and can confirm that they do have a saying about God living in France. And not only french – even english: “living like God in France” and german and dutch too! But Croatia is the place you take a vacation. This is a place to live the best summer holiday ever. To enjoy the music, the festivals, the amazing food, the beaches, the concerts, this is where you’ll find the best friends and prettiest woman (or man). I’ll update this list as I travel more… But I do not think It will change much. Let me know your choices. Let me know what I should visit next. And when.